Note: Westmed Optical Shop in Rye will close at 3pm on Friday, 04/19 and be CLOSED on Saturday, 04/20. Westmed Optical Shop in Ridge Hill will close at 3pm on 04/19. We apologize for the inconvenience, but online appointment scheduling is temporarily down due to planned maintenance. Please try again later, or call your provider during regular business hours to make your appointment. Dr. Stevens is board certified in pediatrics and a Fellow of the American Academy of Pediatrics. After graduation from the Temple University School of Medicine, he completed his internship at the Los Angeles County University of Southern California Medical Center, and his residency at Oakland Children’s Hospital. Dr. Stevens has been practicing pediatrics in White Plains for 28 years. 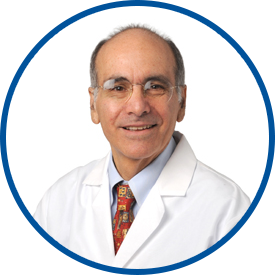 His is affiliated with White Plains Hospital Center, Greenwich Hospital, and New York Presbyterian Hospital-Weill Cornell. Formerly part of Kaiser Permanente, Dr. Stevens joined The Westchester Medical Group in the spring of 1999. He has published articles on asthma, Lyme disease, and parent-child interaction. Dr. Stevens loves babies and enjoys treating asthma, developmental, and complex medical problems from infant to teen. He resides in White Plains with his wife who is an editor. He has two sons, one who is married and a composer and one who is in college. Dr. Steven's has been my children's pediatrician since birth. He is by far the best doctor I have ever had the pleasure of meeting. He is knowledgeable, dependable, kind, and absolutely amazing with kids. My entire family adores him and are so thankful that he is our children's doctor. I have recommended him to everyone I meet. You don't find doctors like him often. Dr. Stevens even called me on Sunday to follow up on questions he had and to check in. Dr Stevens is an excellent doctor. We are so pleased that he is our son's peds doctor. Wouldn't change him for the world. First class all the way.